London, without a doubt, is one of the best cities to visit in the world. From its diverse culture to it’s amazing food and entertainment, there are so many things to see and do here that a weekend visit just won’t cut it! If you accept the challenged to experience the Capital of the UK in anything less than a week, then you’ll certainly have your work cut out for you. Competing with the millions of other tourists that visit London every year, you’ll have to fight your way through the loud crowds of Oxford Street to access the historic cobbled streets of this fantastic city. Not only are they excellent transport links in the centre of London, but there are so a variety of free-entry monuments and historical sites to entertain you during your stay. Let’s take a look at the top things to do in London in less than 24 hours! Although many motorists think otherwise, the city of London is actually a cyclist’s paradise, and there are a number of places that you can visit by bike. Over the past few years, and mostly down to Mayor Boris Johnson, cycling in the capital has skyrocketed in popularity, with new bike lanes cropping up all over the place. Furthermore, because of the success of the London Olympics in 2012, the government has pumped a lot of money into developing the sport of cycling for younger generations. By renting a bike from a variety of locations across the city, you’ll be able to see the amazing sights of London while you navigate the busy streets. Cycling around the city also offers sightseeing at your own pace, unlike tours where you’re usually pushed for time. As night time descends on London, the streets and monuments are spectacularly lit up, meaning you can still carry on your bike tour into the night. Look for the Santander bikes or signage to your nearest cycling terminal, and you’ll be able to get on your way in a matter of minutes! Take your time to cycle up the south bank of the Thames, because once you get to the London, you’re going to have your breath taken away! 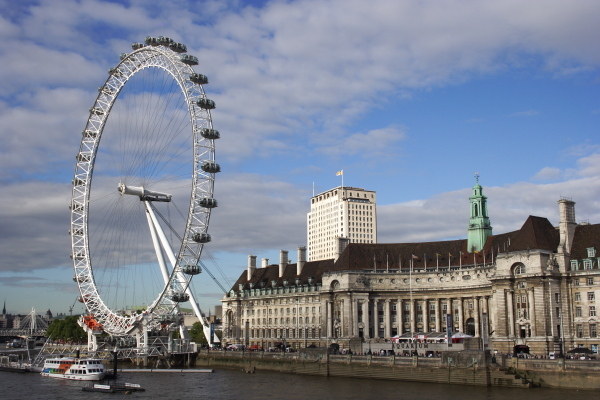 Standing at over 400 feet, and taking around 30 minutes to complete a full turn, the London Eye one of the best ways to see the city in all its glory, and if offers a view of the history city monuments like no other. Attracting nearly 4 million visitors every year, the Eye an important tourist attraction, and to avoid the crowds it’s best to get there around 10am. Make sure you compare cheap flights to London if you’re thinking of taking a trip to the capital this year. For over 250 years, British Museum has been the most popular museum in London, with nearly 6 million visitors ploughing through its doors every year. From ancient artefacts to world-famous civilizations, this museum holds some of the biggest and best treasures from all over there world, and there are even safe and secure bike racks if you want to cycle! I love your post! I am going to use this guide for the next time I travel to London. The great thing is these are all low budget which will keep me busy for a while without busting my wallet. I love your post!